It's almost February (seriously, where did January go?) so that means Valentine's Day is just around the corner. 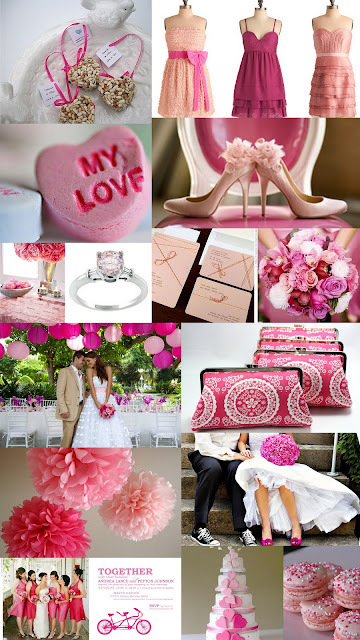 Possibly the most romantic day of the year, Valentine's day is best represented by 2 colors - pink and red. These colors are the ones most often associated with love and passion so we couldn't let a Valentine's day pass by without them. Here is a color board to inspire you to embrace Cupid and get started with planning a romantic dinner for 2, a wedding for 200, or just a girly day with your single gal pals.